James Michener is a classic example that irrespective of the conditions in which one is born, one can make a worthy place in this world! James Michener wrote more than 40 novels and his novels sold an estimated 75 million copies worldwide. His first novel was written when he was a lieutenant in the U.S. Navy during World War II. He said in one of his interviews, 'To while away the time in the afternoon, he drafted the outlines of ''some stories that disturbed me.'' 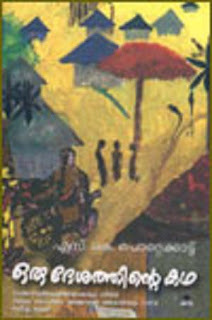 At night he turned the outlines into the short stories that became ''Tales of the South Pacific,'' published in 1947.' This book later became the basis for the Broadway and film musical South Pacific. It won the Pulitzer Prize for fiction in 1948. Following this, he wrote several novels. The majority of his novels cover the lives of many generations of a particular geographical area, and even incorporates historical data into the story. He actually moved to those cities where his story would be based upon. For the same reason, he moved to Texas, Maryland, Hawaii and even Alaska. Michener gave away or donated lots of money to aspirant writers, libraries, universities, museums and the like. Truly, a person to know about, learn from and follow. And all his novels are master pieces!